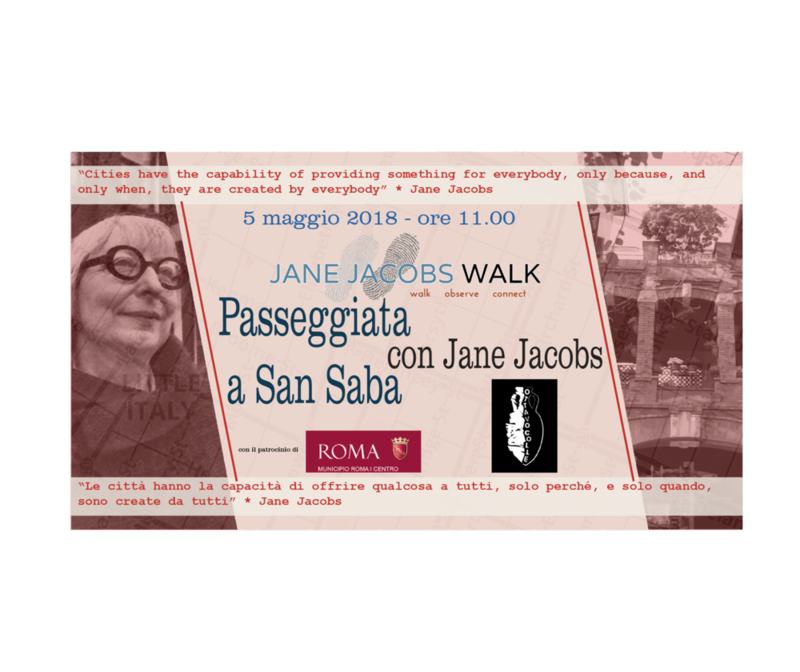 In honor of the urban birthday celebrations of the urbanist Jane Jacobs and in collaboration with Municipality of Rome 1 Historical Center, we will walk in the beautiful "San Saba" neighborhood and its courtyards to read and look with different eyes at the city and its neighborhoods and what changes around us. "The streets and sidewalks are the most important public places in a city and its most vital organs. When you think of a city, the first thing that comes to mind are its streets: if they appear interesting or insignificant, even the city looks like they "writes Jacobs in the chapter dedicated to the road and the role of what he called" the eye on the road "as awareness of the citizens of their neighborhood and environment. Whose cities are we in and who are they thinking of? Beautiful, ugly, accessible, inclusive, attractive, functional? Who decides what the requalification? Whose streets are those of those who cross them? Interrogandoci on the present and the future of (our) cities and on which idea of evelopment is at the base of the transformations from which they are invested, also under the pressure of the processes of globalization and gentrification. Registration: Yes, 30 people maximum. To register, email prenotazioniottavocolle@gmail.com.